Since the day Microsoft has announced the Windows 8 Consumer Preview version, developers have started upgrading their software so as to make them work fine in Windows 8. Well, this time I am talking about Snappy. 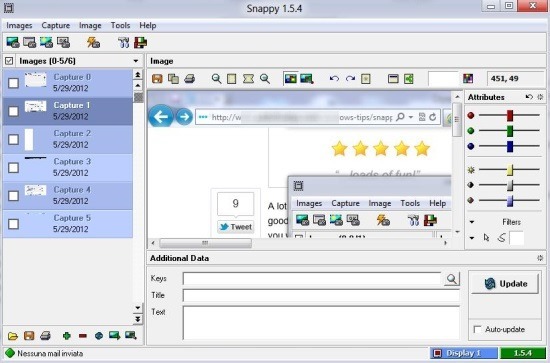 Snappy is a free screenshot capturing software for Windows that lets you capture the Computer screen, edit the captured desktop screen, and use it in your presentation or in other important project. 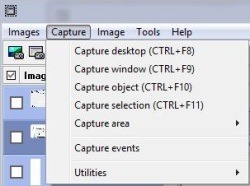 In addition, another distinguished feature that makes Snappy a unique software is the introduction of a new feature called “Event Capture”. This feature lets you capture screenshots instantly when a particular event occurs. For instance: Snappy can capture the screen when you click the mouse button at a particular area on the screen. Installing Snappy For Windows 8 To Capture screenshots is as simple as it is to do it in other OS. However, before I get down towards the installation section, let me quickly jot down the main features of Snappy screen capturing software below. Lets you take screenshots, and edit screen shots by adding various effects into it. Lets you share screenshots with other in various formats. Lets you capture screen instantly when a specific moment occurs. Hotkeys for different screenshot capturing modes have been assigned. Do not miss out other Windows 8 Software reviewed by us.